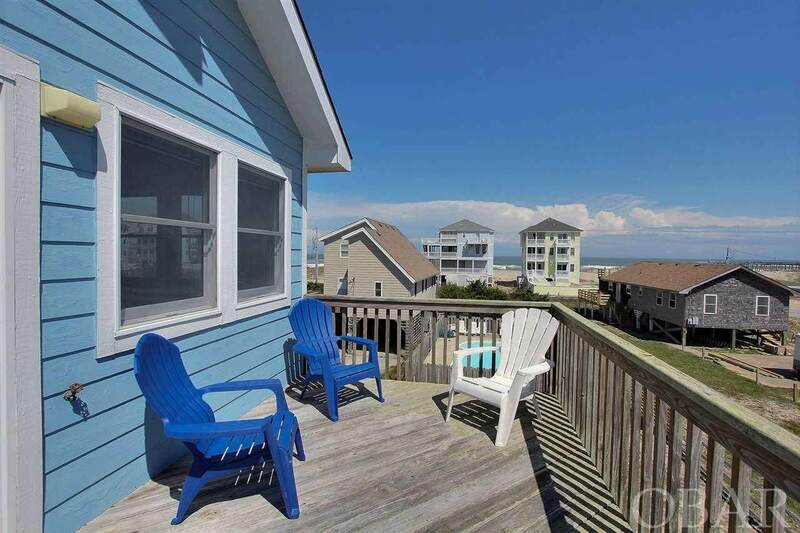 Perfect OCEAN VIEWS and tidy home for your consideration. 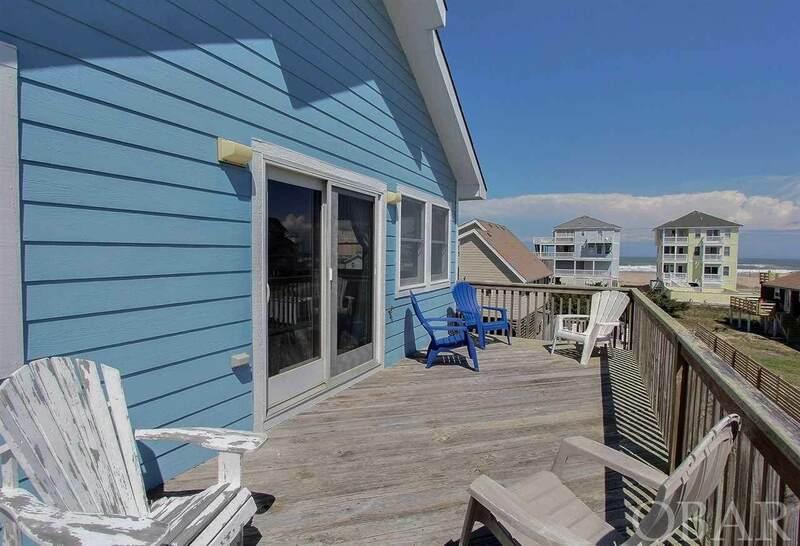 TRUE GRIT is a wonderful location for your beach rental investment. 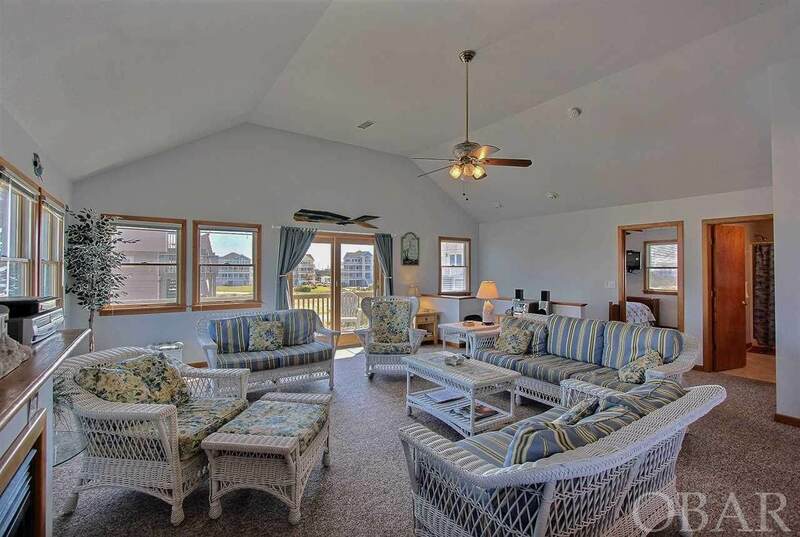 Mother Ocean is close enough to see, hear and smell....relaxing here should be a breeze. We love a dry entry when you pull your vehicle under the house. On the first level you'll find a den and 3 bedrooms (one master and other two share hall bath.) Also hot tub is on south covered deck and more sitting areas on the front. Upstairs you have views from every window in the great room and another bedroom with an attached bath. Sundeck to the south and screened porch on the north side...nice to have both options to choose from according to the weather. Gas fireplace in the living room for a cozy off season day. Outside shower and grilling area on ground level. 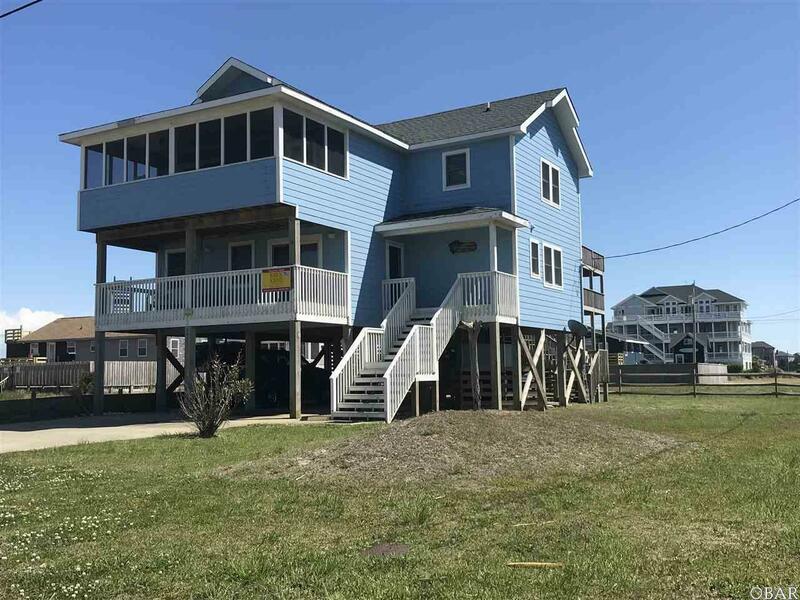 Walking distance to fishing pier, arcade, shopping and restaurant..or use the bike path to get everywhere! Come check this one out today!